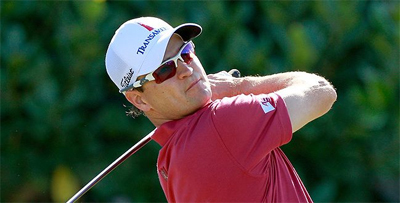 The British Open 2015 was concluded yesterday with the victory of the US golfer Zach Johnson. The tournament was also marked by the incredible performance of Jordan Spieth who was on the verge of winning his third major title this season. The final day was disputed by 23 players who ranged in three strokes. Padraig Harrington and Paul Dunne were the first to crack shortly after the departure of the last part. Sergio Garcia and Adam Scott failed to take advantage of this fourth and final part of the British Open. Jordan Spieth remained the favorite of online betting and found himself in competition with five other golfers (Day, Oosthuizen, Leishman, Johnson) in the late afternoon. Since Sunday, the rain was at the rendezvous, but that did not stop Zach Johnson to make birdies (9, 10 and 12) and sport betting keens to bet online. Despite some concern with the rain between the 13th and 17th hole (+2), the American managed to pull out of the game to end the day at -15. Johnson won his second major title in his Masters career after 2007. Jordan Spieth has done an outstanding weekend and was on track to repeat Ben Hogan's performance in 1953 (Masters, US Open and British Open) after having passed a putt close to 20 meters height on the 16 which let him lead again (- 15). But the world number two lost all his chances to win the British Open after a bogey at the 17. As the Australian Jason Day, the American finished in 3the rd place (- 14).